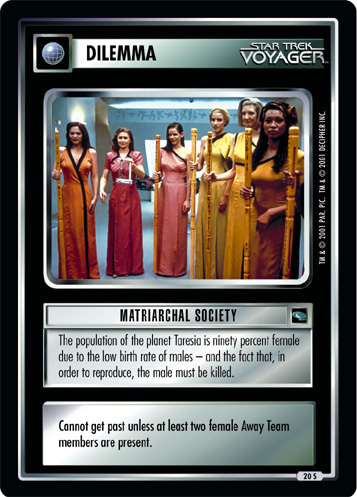 The planet Angel One was dominated by its women who were intolerant of dealing with men. Cannot get past unless at least two female Away Team members are present. Image Source: The Next Generation: "Angel One"